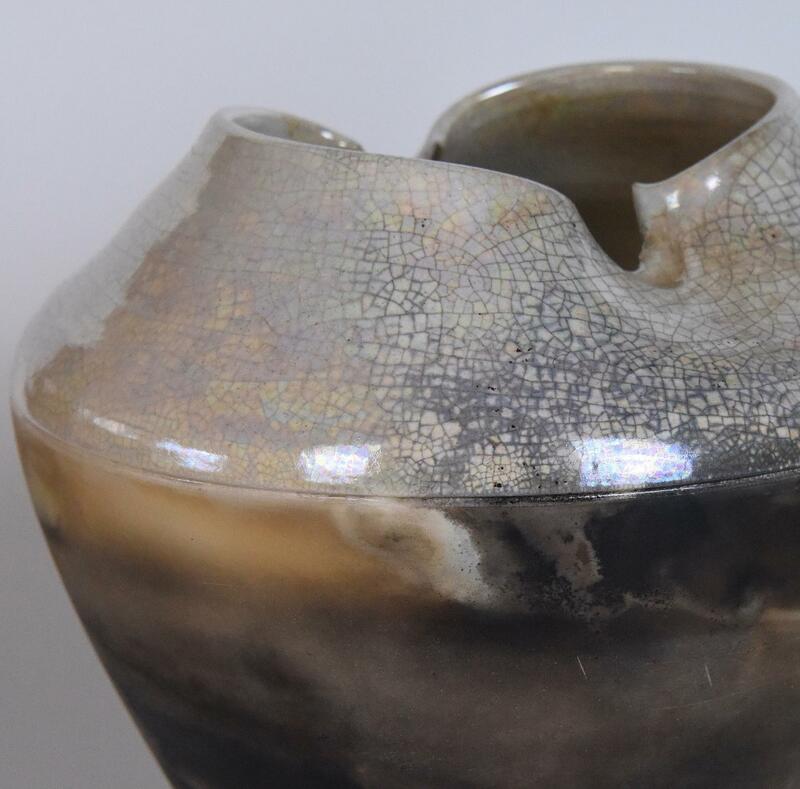 I specialise in Raku and other alternative firing techniques and have developed a four- stage firing process. This involves using a white Raku glaze followed by a Mother of Pearl lustre. The pots are then packed in sawdust and undergo a smoke reduction process where the unglazed body is darkened by the carbon, and the lustre surface becomes much richer in colour. I also produce a range of Porcelain earrings using a range of earthenware and stoneware glazes and with a few I add a small area of platinum lustre. I studied Ceramics and 3D Design at Loughborough University and following my degree show back in 1980 I sold a considerable amount of my show to Liberty of London. I continued to supply Liberty for a further 15 months, having set up a small pottery in my parents’ shed. It was cold and lonely working in the shed and I decided to train as a teacher as a back up to my pottery work. Teaching took over, and I taught pottery and later photography at Brislington School in Bristol for over 34 years until 2016, when I decided to stop teaching, and return to my Ceramic work.